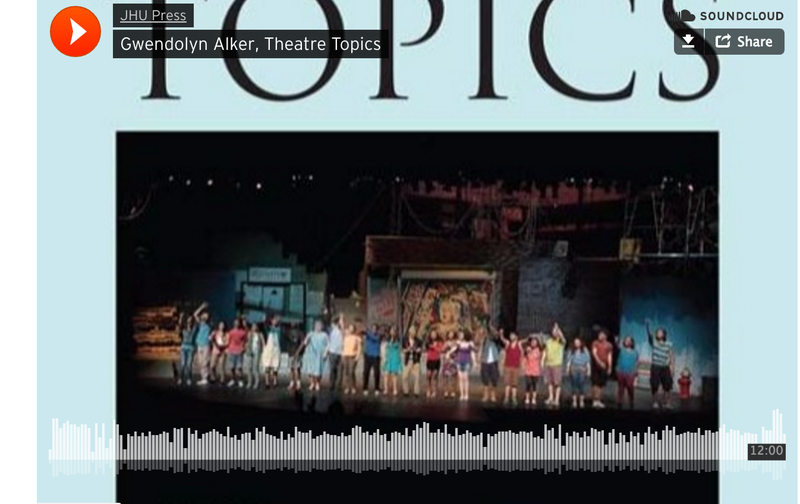 Several years ago at an Association for Theatre in Higher Education, Gwendolyn Alker invited members of a group then known as the (then) Latina/o Focus Group (LFG) for a special issue. Now the Editor of Theatre Topics, Alker said this invitation started the process of something that had not been done before, but that needed to be done: Theatre Topics had never focused an issue on concerns relevant to Latinx theatre-makers and their wider communities. The resulting issue was published earlier this spring. Alker joined JHUP to talk about how it came about and why it is important to the field.